into the driveway, I saw a wisp of smoke drifting ever upward in our side yard. Leaving my things in the truck, I stepped inside the fence gate and headed over to inspect the area. 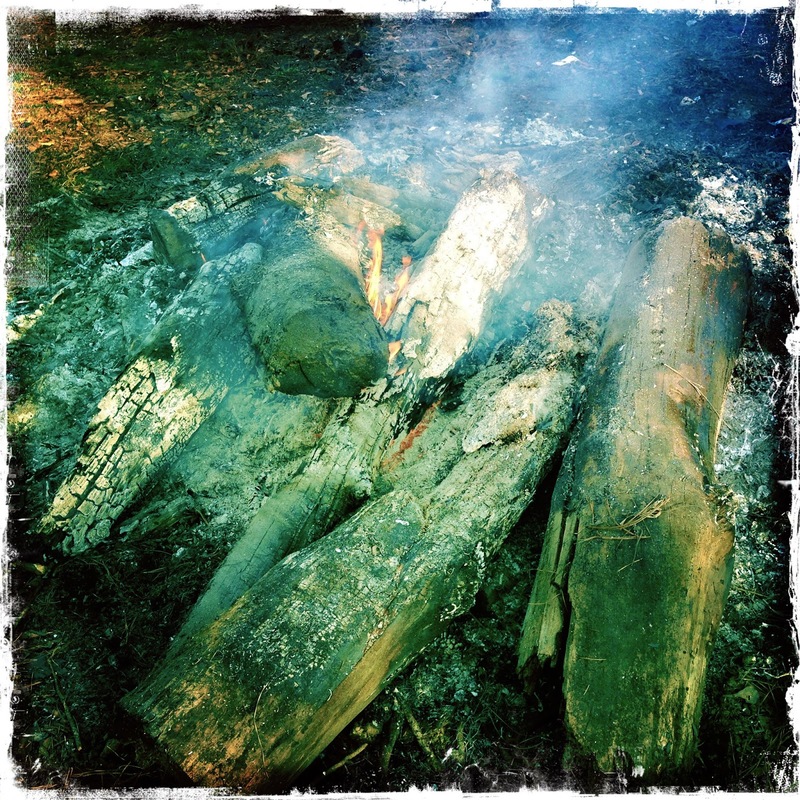 Several of the logs in the pile were huge and thick timbers that burned slowly. I took the rake and shifted all the big pieces together. Usually, I collect dried pine straw and toss it on top to rekindle the fire, but when I pulled everything together they got a breath of breeze, and a small flame erupted. If I can keep the pieces together a while longer, they'll burn into to ash as fine as face powder. That's what fire does. It changes things. A strong oak becomes ash and soot if it stays in a fire long enough. In a sense, life is like a fire. I mentioned a few posts ago that I'd discovered a stash of old photographs. 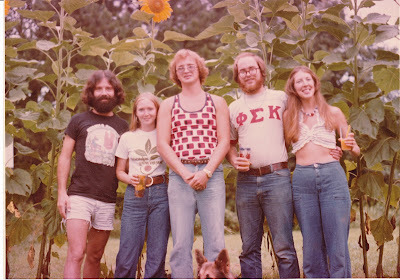 I posted a few pictures from back in the 1970s of us with friends on Facebook. My feed lit up with Likes and Comments. Back then I had a full beard and a headful of hair. My legs weren't bad in those days either but then the years nipped away at the body, and I simply don't have the strength and stamina that I had in those days. But I'm not whining. Jilda and I have both enjoyed a wonderful life full of friends, adventure, and happiness. As I've said before, things change. Anyone who doesn't believe it should talk to the oak tree simmering in the fire. Thank heavens things DO change!! Such a well-written post, and I especially like that beautiful last line. I think my body is slowly burning away also. Seems the older I get things kick in memories. I was always amazed how Great Grandpa could seem to start a fire in the old fireplace every morning without a match. Like the old photos. good visit to Life 101 tonight. Yes things do change Rick I believe you. I just never saw Jesus in a pair of short before. Nice legs. hehe. Julia has me rolling over here. I now forgot what to say. Thanks for that flash back to the 70's! You all are adorable.